It wasn’t all that long ago my young family of four fit in a roof top tent. We played games and read bedtime stories, blissfully falling asleep with everyone safe and snug. And then our two toddlers grew. I still remember the first time I got kicked out of our roof top tent, but can’t recall if it was an elbow to the face or a knee to the groin that did it. I spent the next year in a bivy at the base of the ladder as my wife and kids enjoyed their penthouse loft. Eventually we were all back on the ground and our roof top tent went away. Just a little over a year ago I saw an iKamper Skycamp prototype and began eagerly awaiting its production release. 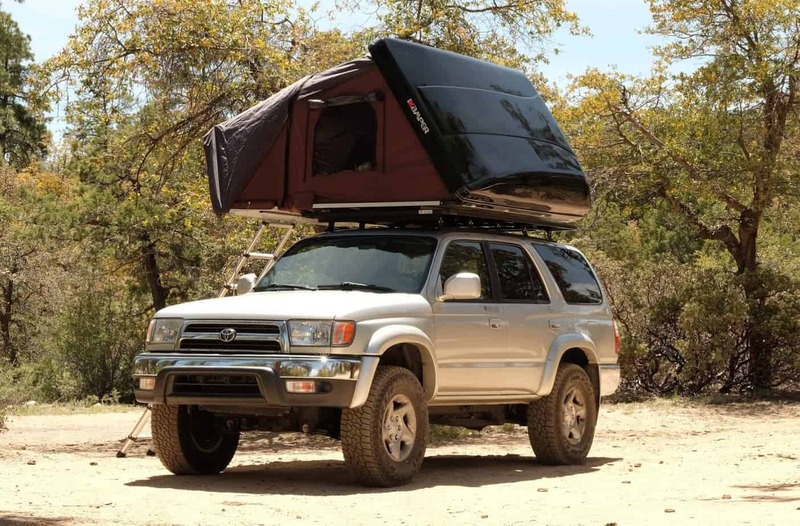 The next evolution of roof top tents, it has enough interior space to accommodate a family of four with two rapidly growing kids. When closed, the Skycamp appears no different than several other hardshell tents on the market, but it has a hidden surprise. Tucked within is an extra bit of floor, about half the width of the tent, that folds out with the ladder. This extra floor space expands the tent interior width to over 82 inches. 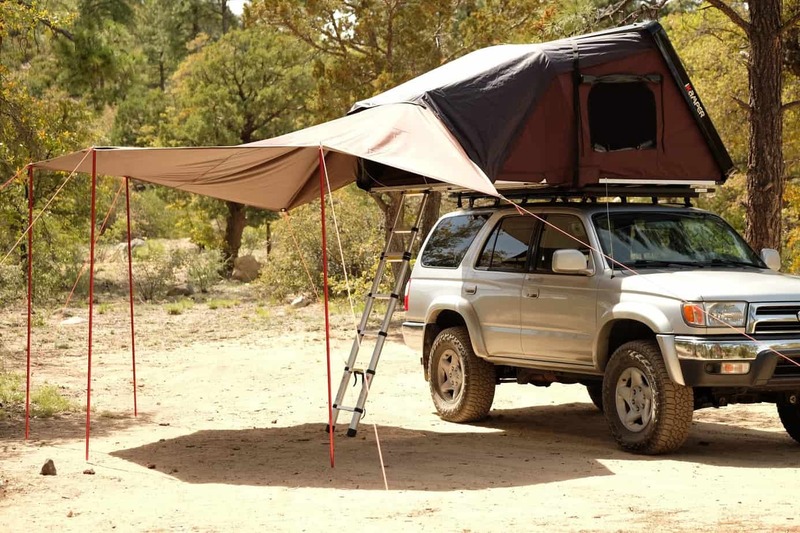 iKamper officially claims the Skycamp fits two adults and two children, or three adults. That assessment is corroborated by the outdoor industry’s standard for ground tents which allocates 20 inches per person. 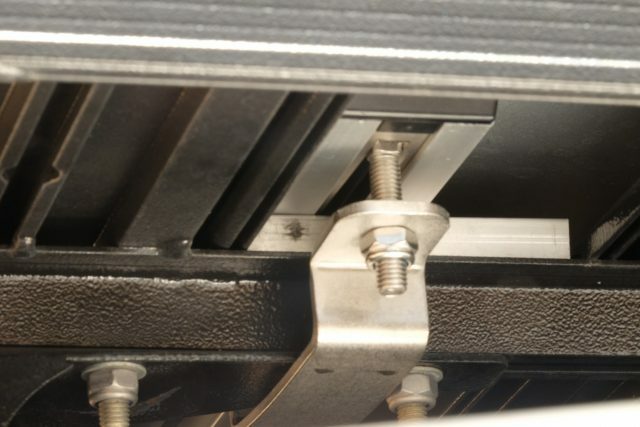 Mounting is straightforward with two aluminum channels running along the bottom of the shell with four adjustable mounting plates and corresponding bolts. 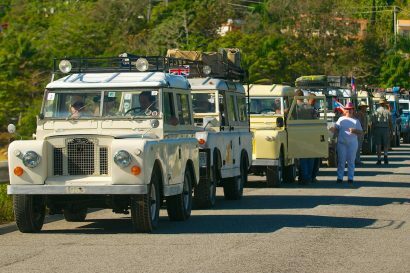 Positioned over any standard cross bars or roof rack, they mate to one of the four included c-shaped plates. 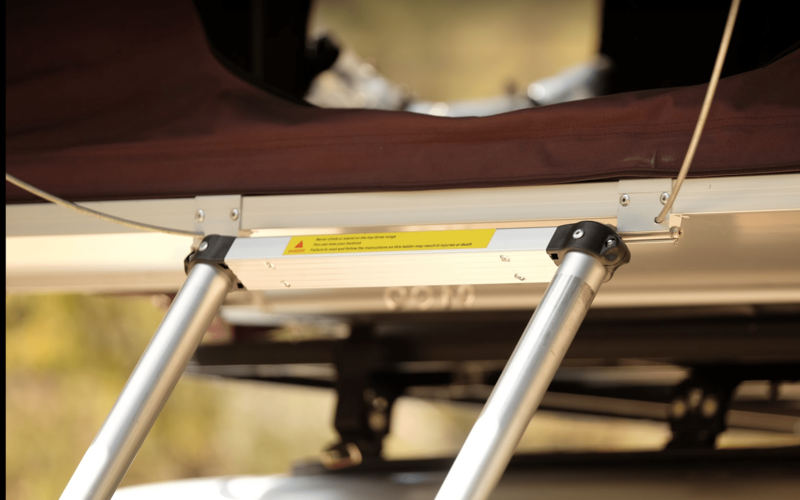 Optional accessories include flat mounting plates with multiple holes to accommodate different sized cross bars, and a locking bolt cover to prevent theft. 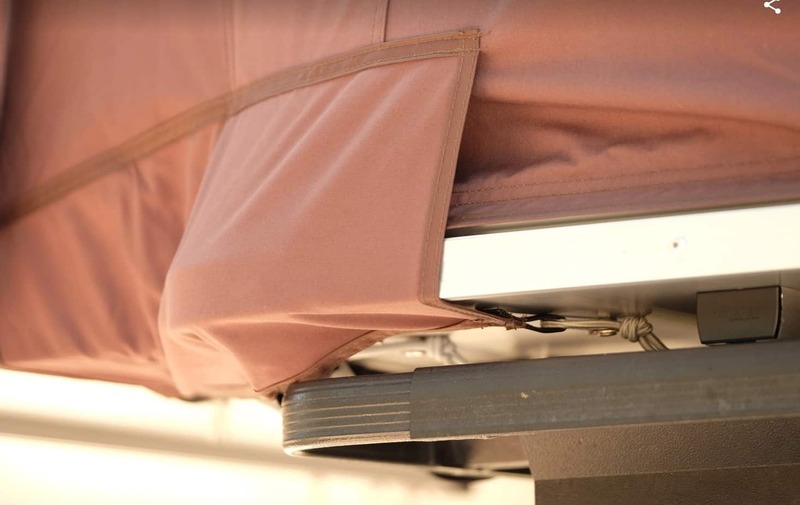 The SkyCamp, in poly-cotton, weighs 160 pounds making it easy to install and move about. It also reduces negative vehicle handling properties while driving. 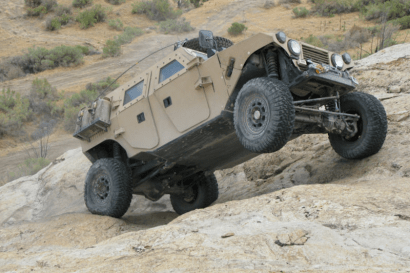 Weight savings come from a honeycombed aluminum floor and a thin shell, similar to that of a roof top cargo box. The shell is made of fiber-reinforced plastic, and is constructed in two layers sealed together with a small air void inside. The idea of the air pocket is to help with insulation and reduce condensation. 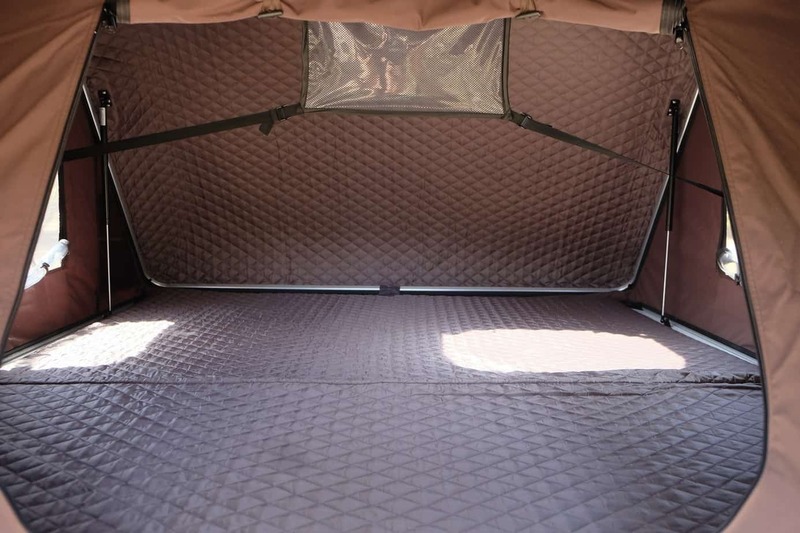 The inside of the shell is finished with a quilted lining to provide additional insulation but primarily creates a nice appearance for the interior. The tent fabric comes in three options: polyester 250D, a poly-cotton blend, and mesh. The poly-cotton blend, which we tested, has a few benefits above the polyester including better handling of condensation and it is more insulating. Either of the Poly tents can be easily changed out for a full mesh tent for hot weather camping, but the mesh panels are only available as an accessory. So, if you want the mesh tent you need to order the Skycamp in either the polyester 250D $2,499, or the poly-cotton canvas $2,799 and then order the mesh tent as an accessory for $359. The tent fabric is attached to the frame with a large zipper. In high winds I noticed the tent was relatively quiet due to the fabric being taught on the frame without any sagging. I also noticed that by parking with the hard top to windward it acts as a large wind deflector. Other accessories include a detachable awning complete with poles and guylines, a fully enclosed annex room, a shoe rack, storage organizer hanging bag, and locks for the mounting brackets and buckles. Operation of the Skycamp is easy. Undo the buckles, push up on the shell, grab the ladder and pull it outward to unfold the tent floor. Install the two wire canopy supports near the doorway and you’re ready to iKamp! The ladder is made of collapsible round telescoping tubes. The rungs are comfortable on bare or socked feet, and they provide sufficient traction underfoot. The ladder is bolted to the tent so there is no need to remove it, or find a place to store it. When closing the tent you pick up the ladder, push the folding floor up and over, unlock the bottom rung of the ladder to collapse it down completely and secure it in place with the included strap that is attached to the ladder. Each rung has locking buttons to allow the ladder to collapse section by section for adjusting length. The ladder serves as the support for the folding floor extension so it must be securely locked in the proper length. It may seem precarious to have the floor extension supported by the ladder but this practice is similar to many of the large soft cover tents on the market. Putting the tent away is equally simple. I was impressed by the lack of runaway fabric that needs to be manipulated and stuffed back into the shell before closing. You do need to ensure the fabric is tidy at both ends but it is not difficult. 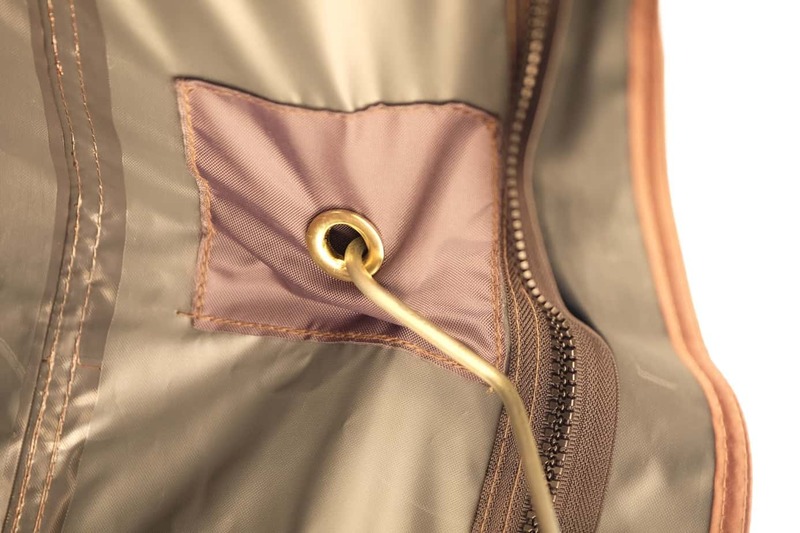 The locking buckles to close the tent are an additional accessory and their price is to be determined. In my opinion the locking buckles should come standard on the Skycamp, not because they lock but because they are stainless steel. On top of my very short list of concerns is the standard closure system for the hard shell. 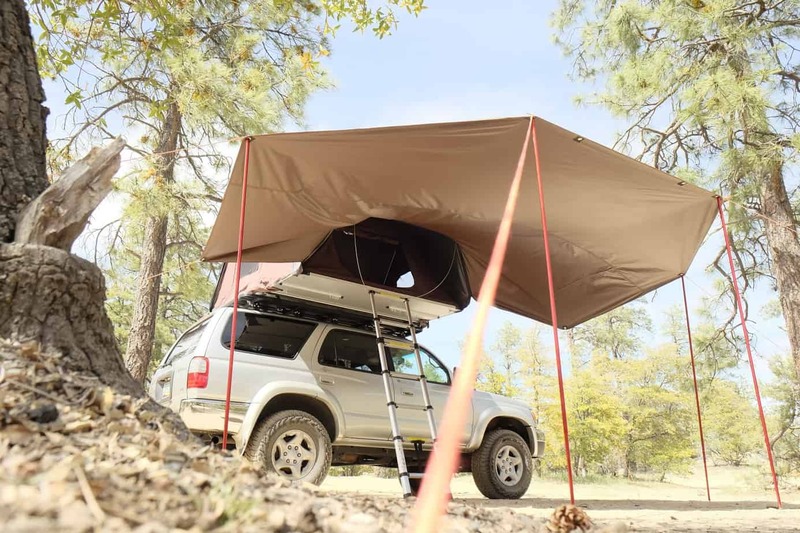 Two medium-duty nylon straps are bolted to the underside of the tent and each holds a metal ring that hooks onto a j-hook bracket on the side of the hard shell. 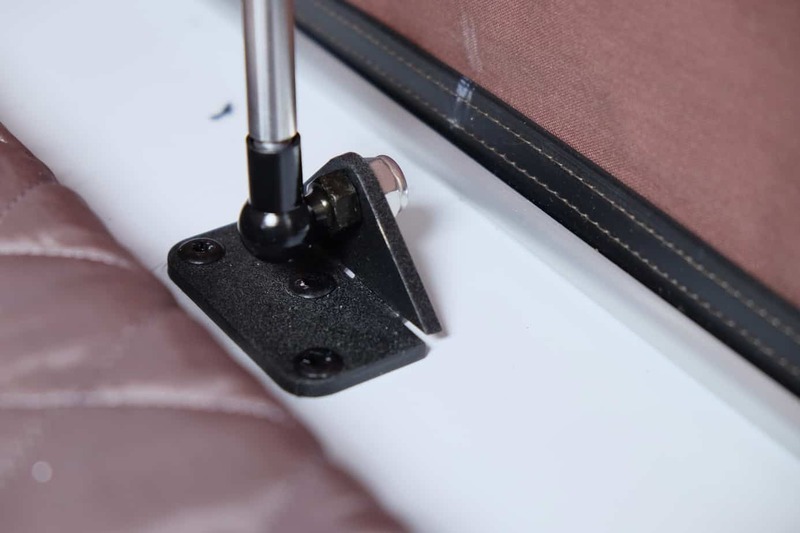 Pulling the strap through a ladder lock adjuster tightens and secures the strap and the tail is affixed to the underside of the tent with hook-and-loop. 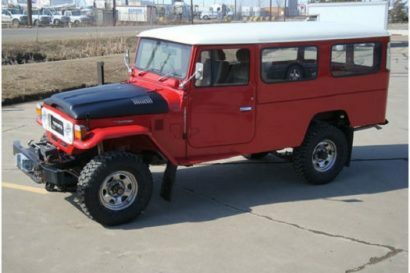 Production models will use stainless steel rings and a heavy duty ladder lock. 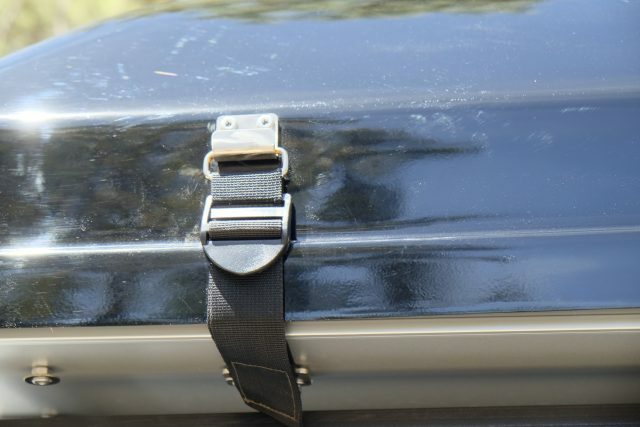 They have also devised a way to easily detach and replace the strap if it becomes damaged. My concern is that the nylon strap will degrade over time from sun and weather. The system seems underdeveloped for its intended purpose, so I’d rather just start out with the all metal closure. The mattress is surprisingly thin but not uncomfortable. It is just over an inch thick, and they are considering increasing this slightly by another quarter inch. It is slimmer than a few others on the market but it is understandable considering the folding floor. They do make up for the perceived discomfort of a thin mattress by using a high quality high density foam which seems to dissipate pressure points rather well. Construction is well thought out and executed. Attention to detail is very good. The SkyCamp is not terribly complex and generally seems robust enough for several years of hard use. There is no wizbang gadgetry such as lighting, power outlets, ice makers, ore ceiling fans. Most of the materials and functionality are appropriate and purposefully chosen. To be honest, one of my favorite things about this tent is the innovation. Speaking with the owner of iKamper and hearing about the two years he dedicated to developing it makes me appreciate the final product. 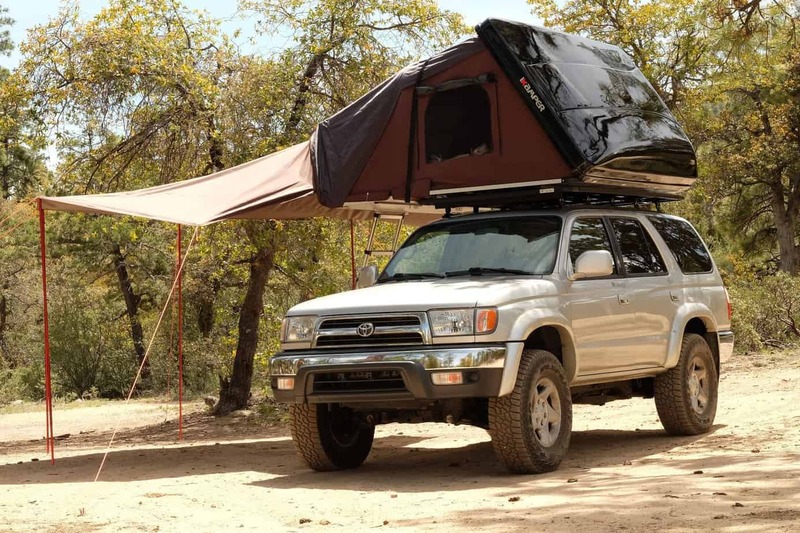 Overall I think the iKamper Skycamp is an excellent evolution of roof top tents. It is aerodynamic, sleek and stylish, easy to use, and most importantly to me—it fits my family of four.